Some people don’t bother buying houseplants because they can’t seem to keep them alive. Mother-in-Law’s Tongue is the perfect choice for beginners. Sansevieria is one of the hardiest houseplants and a great choice for people who often forget to water their houseplants. 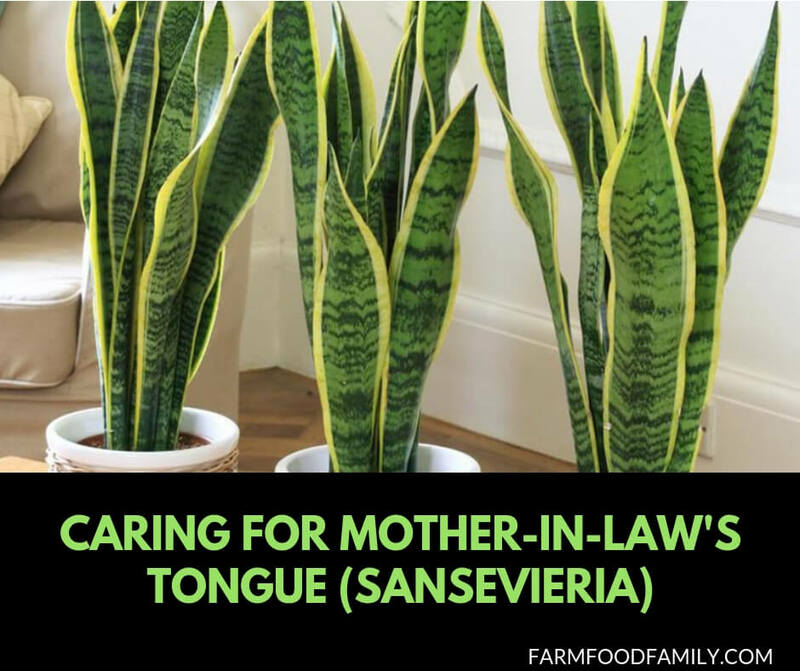 Called Mother-in-law’s Tongue for the shape of its leaves and its hardiness, Sansevieria’s other aliases, (depending on where you live), include Bathroom Plant (because it is a good air cleaner), Snake Plant or Bird’s Nest Plant. Needing very little care, it is the perfect house plant for people who can’t keep anything green alive indoors. If treated right, this hardy houseplant can last for years. One variety has pointed vertical leaves that are speckled green on the inside with a yellow stripe along the edges. Yellow edges occur when the plant is grown from a root division. This kind of Mother-in-law’s Tongue can grow up to about 30 inches tall, while another popular type grows only four inches tall, and its leaves form the shape of a rosette. Since these plants grow in clumps, they are easy to divide at the root. It can be fun to divide this houseplant, especially if one does not have a green thumb. If yours is ready to propagate, first remove it from the pot and wash the roots. Either break it apart at the roots, or use a knife to divide the plant. Re-pot the divisions right away and water the new plants. These plants tolerate low light and they seem to grow anywhere. The easiest way to destroy Mother-in-law’s Tongue is to over-water it, or never water it at all. Over-watering causes the plant to rot. Let the soil dry out completely before re-watering. Mother-in-Law’s Tongue shrivels in high humidity, but likes moderate to warm temperatures. Keep it in the same pot for as long as possible. If the sword-shaped leaves lean over, bend or crack, the plant is thirsty. Water it about every 10 days to keep it healthy. Mother-in-law’s Tongue requires less water during the winter months. Although this houseplant is among the easiest to grow, it can be dangerous. Keep this plant away from pets and small children, as it is toxic if eaten. Mother-in-law’s Tongue is a good pick for people who have no luck growing houseplants. It survives in low to bright light, and require very little water to stay healthy. It is a perfect choice for people who tend to neglect houseplants, since this plant is hard to kill. Overall, Mother-in-law’s Tongue is a sure bet for beginner growers.